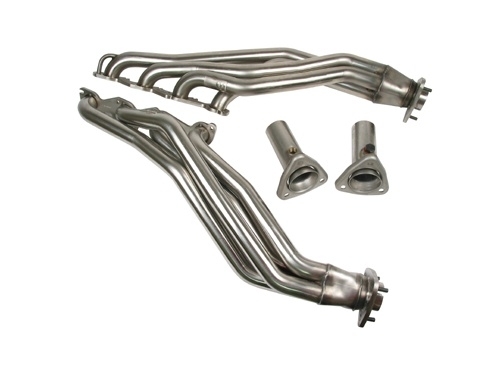 These stainless steel long tube exhaust headers result in an estimated 14-17 horsepower gain. Header and mid pipes only- no catelytic converters. Will not work with factory installed catalytic converters. Stainless steel primaries with formed collector. Race Only.